← Random blogging thoughts & what direction to take? I’m super excited about the Daniel Plan! It’s just the type of “clean eating” lifestyle that totally works for me. I’ve always felt great on the Daniel Fast, but I also know my body does best eating small amounts of meat and eggs. On the Daniel Fast (vegan), I tend to rely on whole grains which hurt my tummy if I ate too many of them. I was hungry all the time on the Daniel Fast, so had to rely on small meals throughout the day. I had to think too much. I just wasn’t able to get enough protein. So last spring I kept saying how great it would be if I could keep eating this way…no sugar, no flour, no dairy and just add back in meat and eggs. I wanted to lean toward paleo, but as we got closer to the summer and vacations, my eating habits strayed from eating clean. I would just track calories in My Fitness Pal. I have to say tracking calories makes it easy for the sugar monster to get out of control, and not eat as many veggies and fruit as I should. After all, I’m still in my calorie range. When I heard of the Daniel Plan, and googled and the food list came up….I was thrilled! I can eat lean meat and eggs. And during the detox the only whole grains I can eat are brown rice and quinoa. I’ve had very small amounts when I ate them. I just finished the 10 day detox, and I feel great! I’m actually probably going to continue on the detox for awhile longer. The Daniel Plan is 40 to 50 days depending on if you count your detox as part of the 40 days or not. After the 10-day detox, you can add in limited types of dairy and gluten in the form of whole grains if you find you don’t have a sensitivity to dairy or gluten (another benefit to the Daniel Plan is figuring out if you have dairy or gluten sensitivity). My teenager is doing it, and my hubby just jumped on board a few days ago also. So nice to have that extra support in the house. I want to share a new recipe I created based on an almond butter smoothie in the Daniel Plan book. I guess I should say “loosely” based, because I basically changed the whole entire smoothie recipe….I just got the idea to add the almond butter to the smoothie. Now I’d read about it before, but for some reason I’ve never really wanted to add it. I mean almond butter is okay…but I’m not like the tons of other bloggers out there that love almond butter. I don’t really like it plain, and I’ve never wanted to add that many calories to my smoothies before. I was happy with my normal smoothie routine (greens and frozen fruit). Well I’ve been missing out, I tell ya! 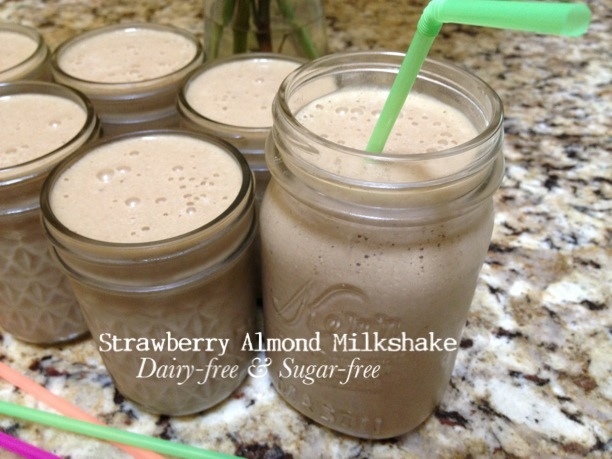 The almond butter and walnuts I add to this shake really make it creamy and thick. I like the texture…not frozen, and it really reminds me of a milkshake. There is so much you can do with this recipe….very versatile, and you can swap out the frozen strawberries and pineapple for other types of frozen fruit. Their smoothie had hemp seeds, chia seeds and pumpkin seeds. I didn’t have any of those so didn’t add them. Their smoothie had coconut oil (which I was out of), so I used unsweetened shredded coconut. Stay tuned for more Daniel Plan recipes….I’ve been totally inspired lately. Have you heard of The Daniel Plan? Are you interested in cleaning up your eating? Would love to hear any healthy living, diet or fitness goals you’ve been working on. Most of my Daniel Fast Recipes will work on the Daniel plan! Just double check the ingredients. You can get them here: Daniel Fast Recipes. 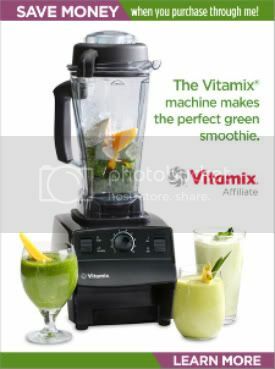 Place all ingredients in Vita-mix or other blender and blend well. If using a blender that's not as strong, blend frozen fruit and greens with liquid before adding the rest of the ingredients. What a great recipe! After a long run this would be ideal during my cooling down period. The Strawberry Almond Milkshake sounds great. I will have to try this as it looks pretty simple to make. I imagine I can make it before hand and store it in the refrigerator for when I get bck from my run. Thank you for the post.